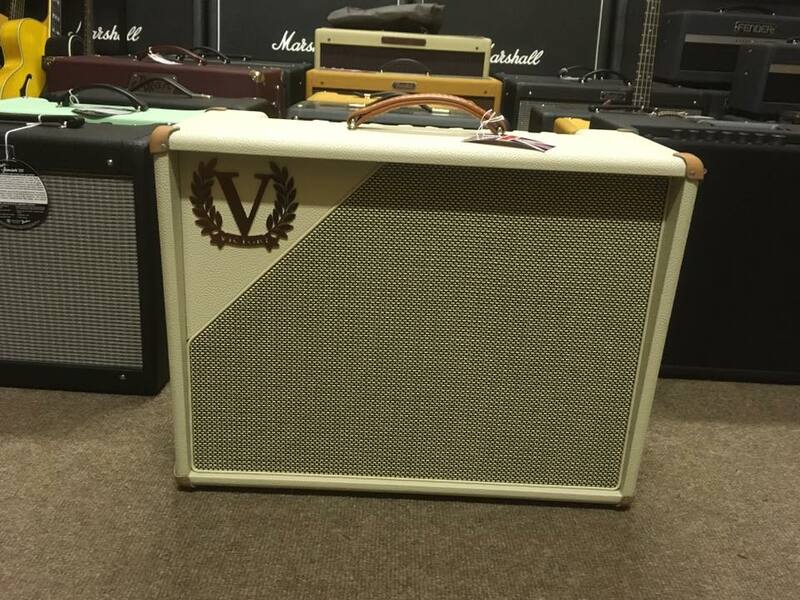 Victory Amplification from the UK proudly announces V40 Deluxe a 42-watt, single-channel all-valve guitar amplifier. V40 Deluxe is evolved from the award-winning Compact Series V40 The Duchess (Guitarist Magazine Gear Of The Year 2015/Guitar & Bass Magazine Gear Of The Year 2015). 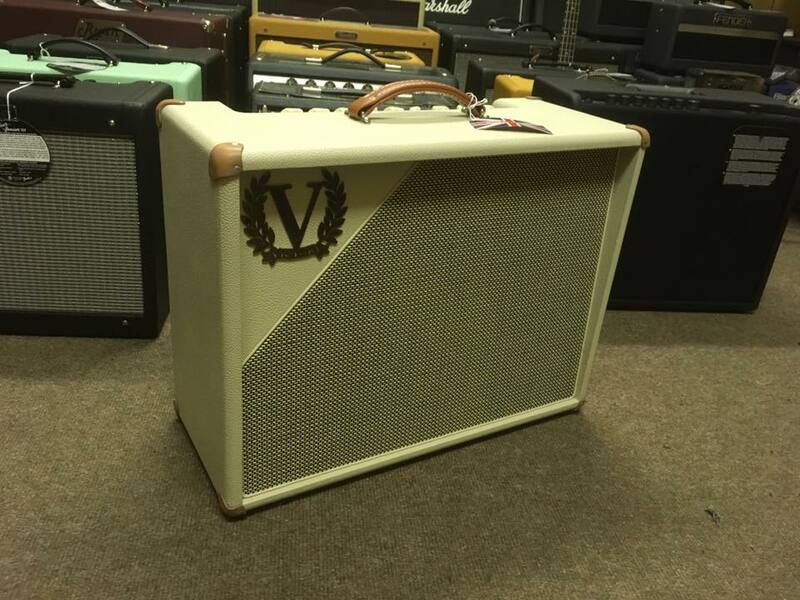 Part of Victory’s Heritage Series, V40 Deluxe lives up to its name in stunning cream vinyl over a traditional wooden cabinet with leather corners and handle for a distinctly modern-boutique look. 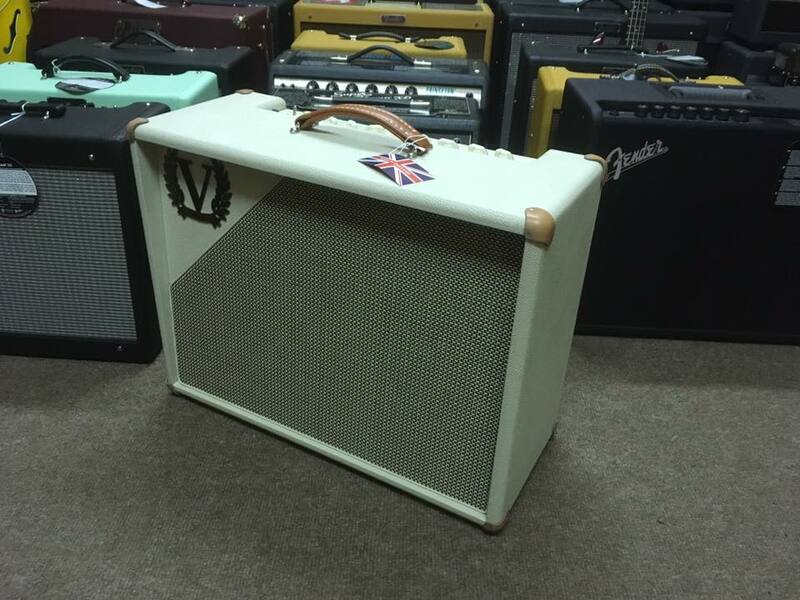 V40 Deluxe was developed initially in response to blues/roots/rock’n’roll-inspired players asking us for a wide-body 1x12 combo version of V40 The Duchess, but with an all-valve spring reverb section. Adding a valve-driven output-bias tremolo circuit was the obvious next step to complete the package. Tonally it’s still all about classic American cleans through to ’60s British blues-rock drive – and everything in between – but with a subtly different voice and overall EQ response. You might say we’ve moved it slightly back across the Atlantic towards the US with room-filling bass and sparkling trebles on tap. And just like the award-winning V40 The Duchess, V40 Deluxe is an exceptional platform for effects pedals of all kinds. V40 Deluxe also has a low-power mode (7 watts) and a hard-bypassable series effects loop. 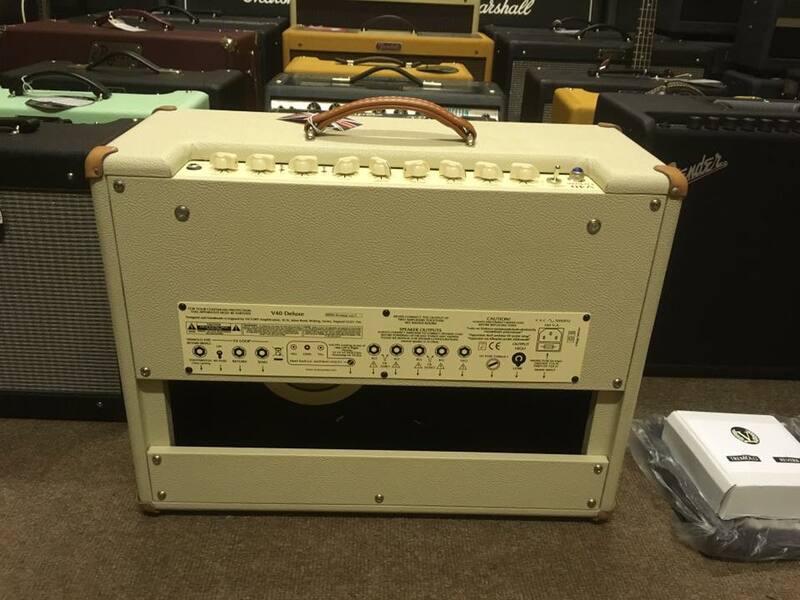 It’s available as a wide-body open-back 1x12 combo with Celestion G12H-75 Creamback speaker, or as a wooden-sleeve head with matching V212VC cabinet. 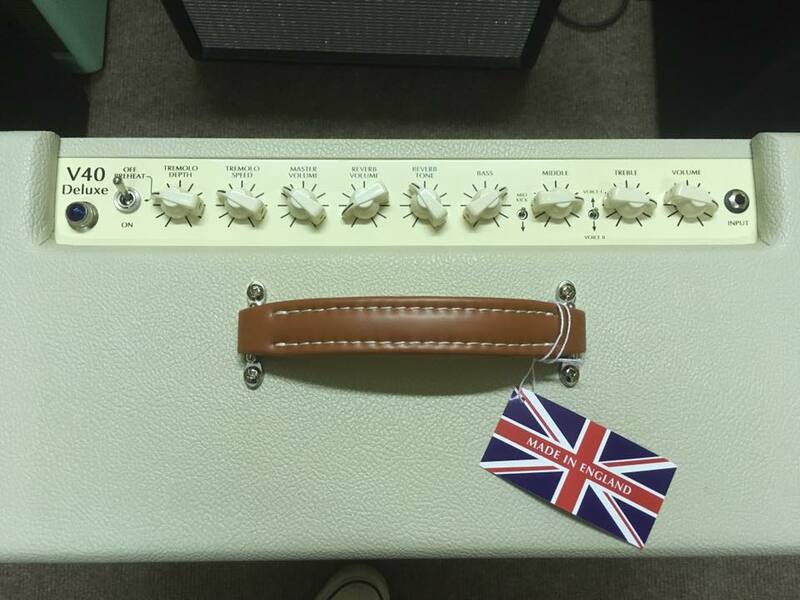 This amplifier is one for the ‘feel’ players: a boutique-standard tone machine that you can use anywhere from your home to the studio to any professional stage.